Business loan approval is highly dependent on your perceived ability to repay the loan. That's why it's essential to use the application to prove that you are a worthy of obtaining credit. Give your business loan application an advantage by implementing the following 5 tips to make it stand out from the loan application pile. Because business loan approval is highly dependent on your perceived ability to repay the loan, use the application to prove that you are a worthy credit risk. 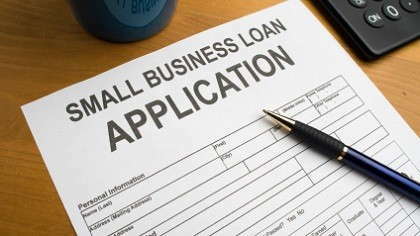 Within your business loan application, communicate your business plan clearly. After reading your business plan, your financial institution should have a strong understanding of what your business does, how it will make money and how revenue will be used to grow the business and repay the loan over time. Be certain to include a detailed projection of how the loan funds will be used. The cash flow of your business is an important factor in determining your ability to repay the business loan without liquidating collateral. Provide accurate, up-to-date financial statements that clearly show how money flows into and out of your business, including your plan for using the cash flow to make your loan payments. It's true that it takes money to borrow money, and this is no different for a home business or a multinational corporation. Your business credit score, the business's current assets and the financial ability of the individual guarantor(s) to repay the loan will be considered. Business loan approval is more likely if you show that you have personally invested capital in the business to the tune of 25 to 50 percent of the loan amount requested. A successful business loan application needs strong character references in the form of your work history and letters of recommendation. Your references should include a description of your knowledge and experience that instill confidence in your ability to make the business a success and repay the loan. If you can, use the financial institution where you've borrowed money (and repaid it) in the past. Obviously, there is always risk involved with lending and borrowing money. The bank knows that even given all of your expertise and personal investment, your business might still fail. Provide them with a reasonable plan for repaying the loan should the worst happen. Include the liquidation of business assets and the value of collateral. The more detailed the information the better. Before you finalize your business loan application, go over every detail and be certain you are providing as much useful information as possible. A clearly defined business plan will show the lender how your business will use the business loan to make money and repay the loan. Financial and character references provide a background of healthy borrowing and personal experience to give credibility to your application. Finally, include a plan for the worst to assure the lender you've already thought of every possible outcome.